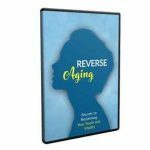 Discover the techniques and methods that you can use to reverse the aging process to look and feel younger with the ultimate anti aging guide videos. 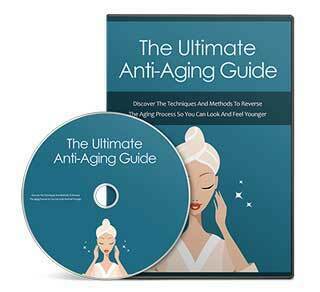 ATTENTION: Feeling Like You’re Aging Faster Than You Thought? 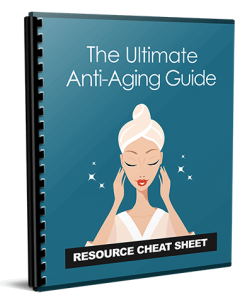 In This Course, You’ll Find Out How To Prevent Aging! Do you ever wish you were young again? Not the awkward stage of high school or the confusion of college, but the looks. The beauty. Wouldn’t it be great to have people checking you out again? Knowing that you were the hottest person your age in the room. By far. Wish You Could Look Like That? Most of us squander our youth. We take for granted that we will look like that forever, and it’s just not the case. 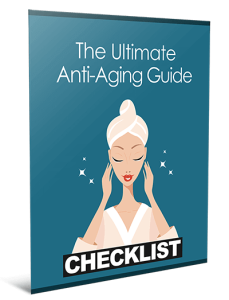 But at the same time, it is possible to slow down the aging process! And it’s something all of us can do! By taking better care of our bodies and taking pre-cautions against aging, you can shave years of your looks. 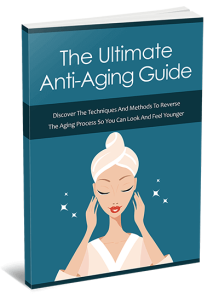 So how on Earth are you going to magically look younger? Well, actually there is no magic. Unless you count powerful information as magic (and you should), there is no spells and magic potions here. Instead, we are going to replace magic with guidance that if you follow, will lead to incredible results. I’ve mastered this lifestyle and I’m by far the hottest parents around, and I want to share my experiences with you so that you can get out of the situation that you are in. This guide will tell you everything you need to know to get into the process tomorrow and start a new life. This is the future. 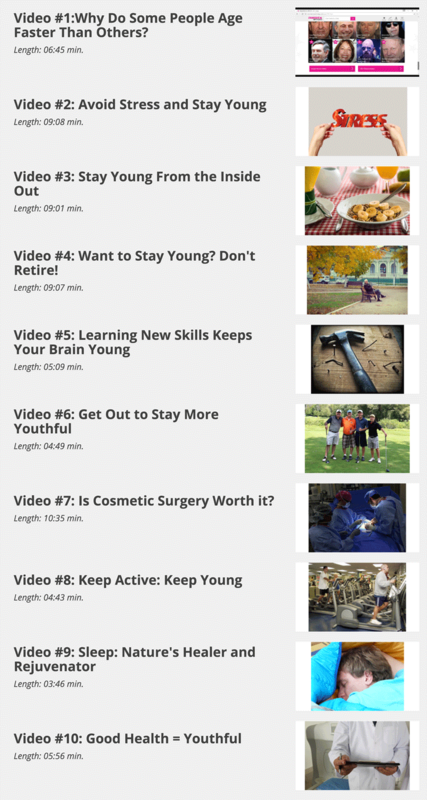 I recorded 10 exclusive, step-by-step video tutorials that’ll show you the tools, techniques and my top tips to preventing aging. 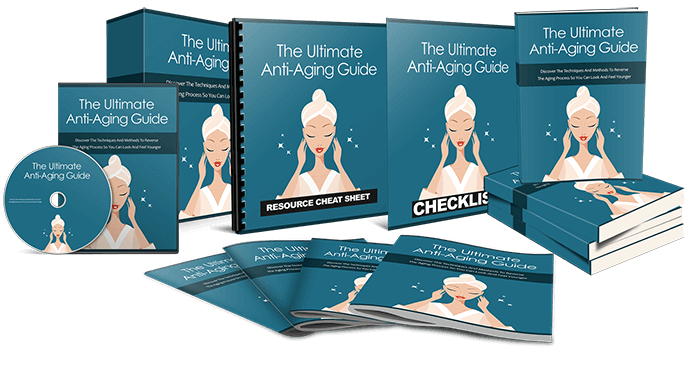 I’m delighted to have the chance to share this powerful guide with you, and I know you’ll be very happy with the results. You’ll discover all the steps, tools and resources to help you finally succeed and get results! Click the Add to Cart button to get your copy today! Extras: Articles, Checklist, Ebook, Graphics, Keywords, Mindmap, Resource, Salesletter.